Charles’s death on July 22 has sparked protests in the English capital. 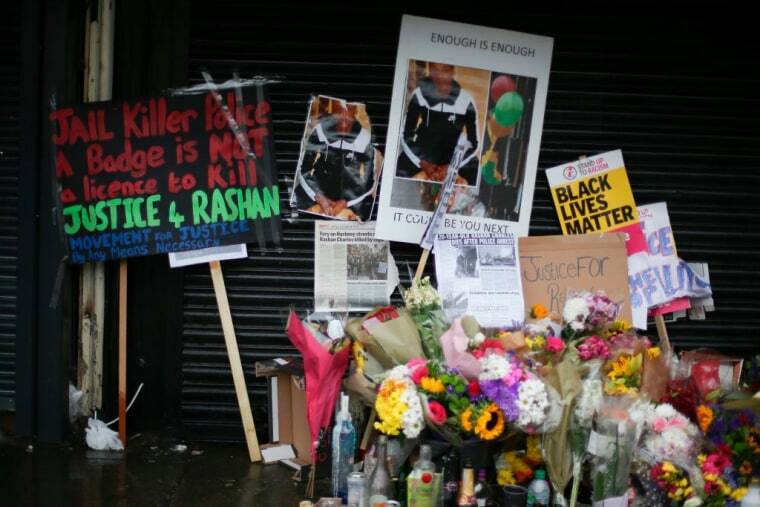 Rashan Charles, the 20-year-old who died while in police custody in London last month, did not swallow a controlled substance prior to his death. Police reported Charles swallowed an object prior to being pursued by police on the night of his death on July 22. However, forensic testing by the IPCC has proven the substance was not drugs. There is currently no details on what the object was and police are awaiting the preliminary results of a post-mortem examination, which was carried out on Monday. "The IPCC has now received results of forensic analysis of an object that was removed from Rashan's airway by paramedics," a statement released on Wednesday night said. "The object did not contain a controlled substance." Charles's family has been informed. Charles died shortly after being apprehended by police in east London. In a statement released at the time, the Metropolitan police said he was followed on foot into a nearby shop after officers tried to stop a car on Kingsland Road, Hackney. Security camera footage from the shop showed a struggle between the arresting officer and Charles. A force medic provided first aid at the scene but Charles died later in hospital. His death sparked a number of protests, including one on July 28 which turned violent. The IPCC statement can be seen below.